It's funny how green legs turn purple and orange in a certain light. 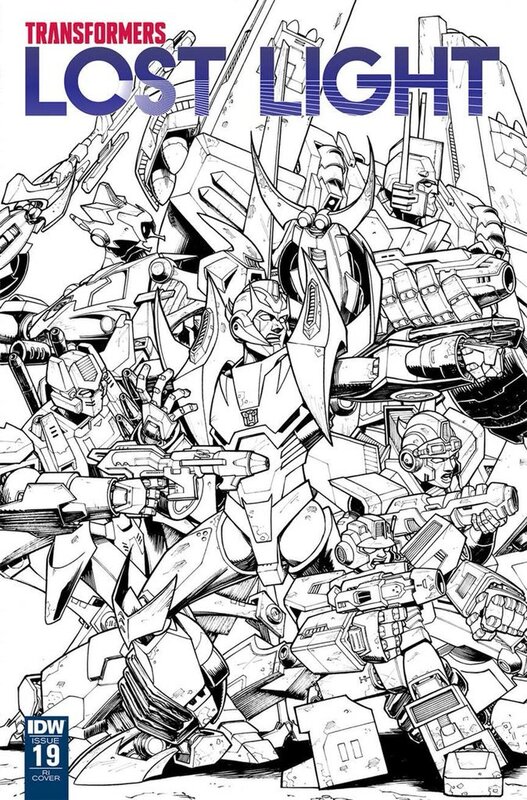 All the Autobots here are facing left, so another bunch of characters on another cover could be facing right. Who will they be? My money's on the weather presenters of Oklahoma TV! Let's all remember the one good thing about these books. snavej wrote: It's funny how green legs turn purple and orange in a certain light. Anyone in the middle or is it going to be a Mexican standoff? Okay so after taking a few weeks away from regular posting and purging myself of my negative vibes and outlook, it's time for me to catch up on LL. 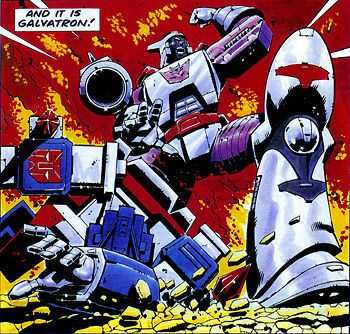 I stopped reading after Defensor got taken out. Has the story picked up the pace since then? Have some questions been answered? Rodimus Prime wrote: Okay so after taking a few weeks away from regular posting and purging myself of my negative vibes and outlook, it's time for me to catch up on LL. I stopped reading after Defensor got taken out. Has the story picked up the pace since then? Have some questions been answered? The pace has picked up, yeah. Disparare pieces are starting to be drawn together in real ways. ZeroWolf wrote: Anyone in the middle or is it going to be a Mexican standoff? 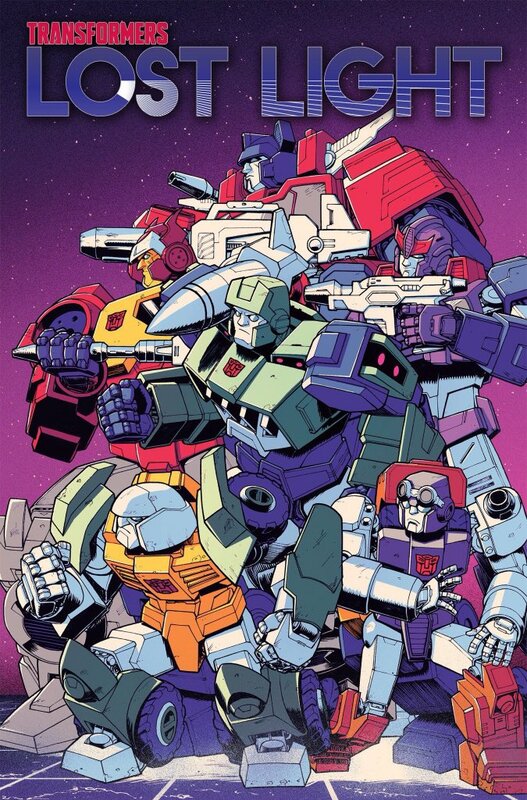 I think that there will be someone or even something in the middle because part of Ultra Magnus' left arm goes off the page on the 2nd cover and doesn't appear on the 1st cover. Therefore: 3rd cover soon! I think anticipating plot points/story moments based on covers is a great way to make yourself disappointed later. 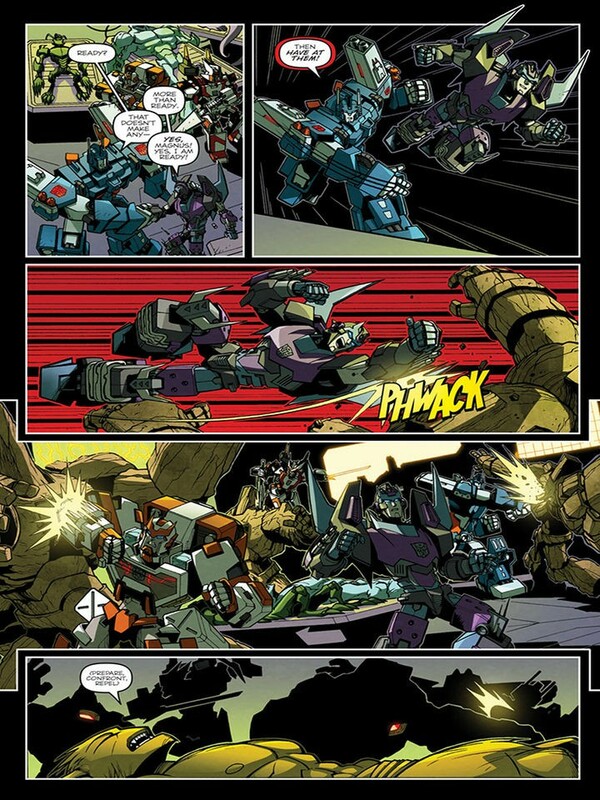 Remember how Getaway punched Thunderclash off the ship Ozymandias-style? Motto: "may the force be with you"
AVFireblade9472 wrote: So, what do you all think is gonna happen in LL 18? Sorry for the double post, but finished book 5 of MTMTE the other day. Started book 6 but I think I missed something, is this where that dark cybertron story takes place? Someone mentioned it a while back. But anyways book 5 was a fun read. Some random thoughts. Book starts with Tailgate finding out he has cybercrosis, pretty fascinating and a bit unexpected to see the topic of dying from old age feature in a transformers comic of all places. Kind of neat that whirl comes up with the solution at the end. And Tyrest and Pharma, I’m not sure who is more insane. I’m glad they both got what was coming to them. Star Saber is nuts too. Whirl and Cyclonus had some good scenes, both action and some sort of understanding to make peace I guess. And the book finishes with a story called Little Victories a film by Rewind. And now I miss Rewind, I hope he’s back soon. Yeah dark cybertron takes place in between 5 and 6, it's a good read and helps with the setup for what's going on in the optimus prime series and for what's to come in unicron. ZeroWolf wrote: Yeah dark cybertron takes place in between 5 and 6, it's a good read and helps with the setup for what's going on in the optimus prime series and for what's to come in unicron. And as ScottyP has said in recent podcast episodes: it's aged really well compared to when it first came out. Definitely give it a try! Doesn't matter to me either way. I gave up on extra covers a while ago. Ok, thanks folks. I’ll check out Dark cybertron before I continue with book 6. Also thanks to online retailer Amazon.com and another IDW Publishing comics listing, we have a date for the release of the last collected trade paperback for the ongoing (and soon ending) comics series Transformers: Lost Light. Collecting issues 19-25, volume 4 will feature the final arc of the series - which may or may not directly tie into the Unicron event as parallel series Optimus Prime will do - and is due for release in February 2019, which means trade readers will have until then to catch up on the end of the universe. Find out more below! 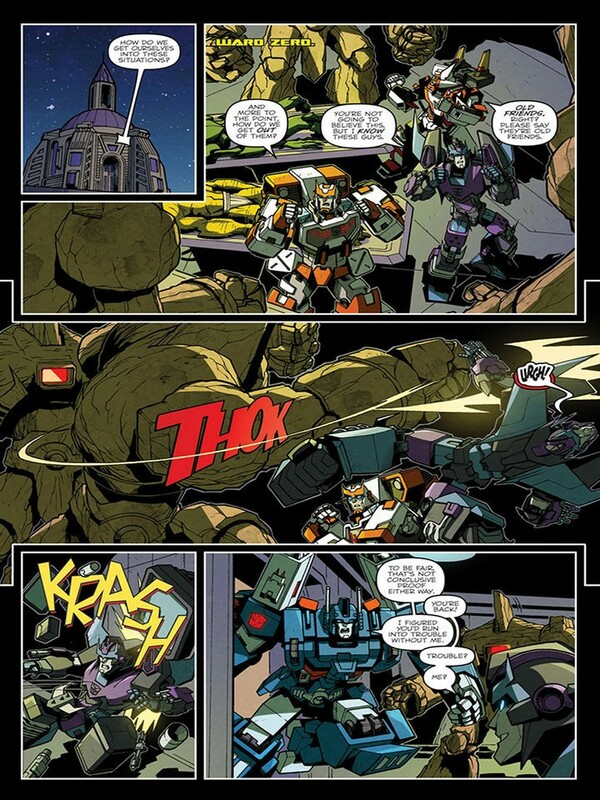 Courtesy of iTunes and their regular early looks at IDW Publishing comics, we have a three-page preview for the next issue of Transformers: Lost Light, due - if schedules hold - next week! 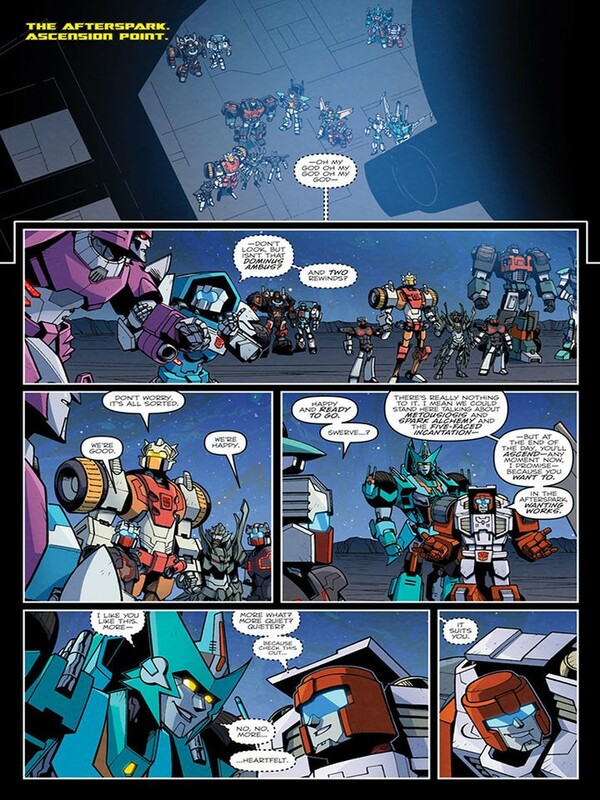 Take a look at the images mirrored below, as we join Rodimus and the rest of the cast in the Afterspark. Or not. Always appreciate a Fastball Special .. Still not keen on the colour scheme of Rodimus though. I'm sure there are in-story reasons (and by "coincidence", a new toy) but it's just not him. 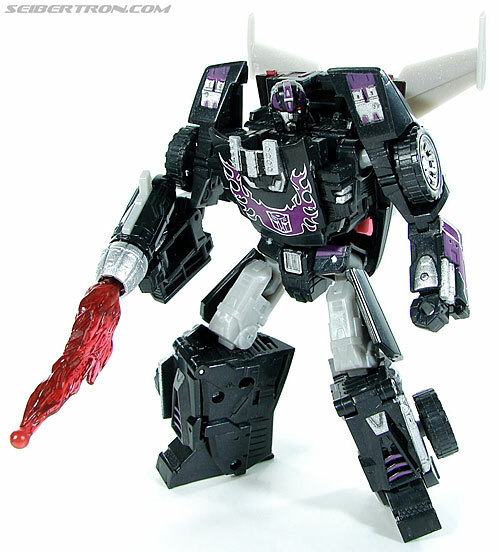 He was always a character that visually popped, black and purple are far too generic within Transformers. AllNewSuperRobot wrote: Always appreciate a Fastball Special .. Still not keen on the colour scheme of Rodimus though. I'm sure there are in-story reasons (and by "coincidence", a new toy) but it's just not him. 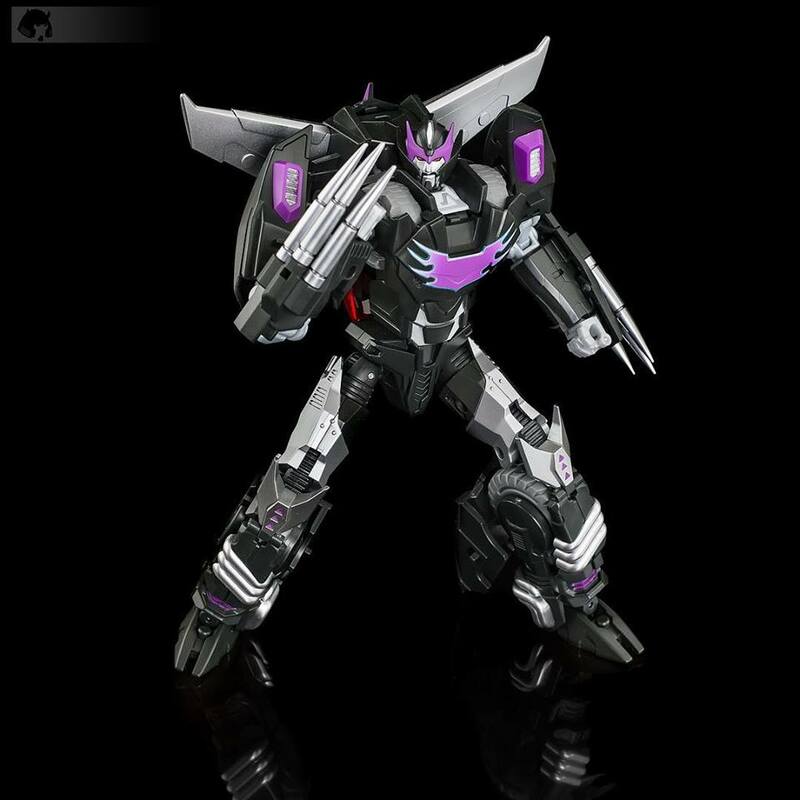 He was always a character that visually popped, black and purple are far too generic within Transformers. Drift painted him this way to express grief for a fallen friend (Skids) and a promise to kill someone (Getaway). Nobodies forcing you to ignore the past 30+ years of him being red orange and yellow. It’s one continuity and there is no official toy with that deco. Agreed. Although both IDW Rodimus and PotP Rodimus have a lot of black and purple, the decos aren't very similar. IDW Rodimus is primarily purple and blue with some black or dark grey highlights. PotP Rodimus takes after the character's Shattered Glass incarnation, and is mostly black and purple with some light grey highlights. AlphaBass wrote: Drift painted him this way to express grief for a fallen friend (Skids) and a promise to kill someone (Getaway). Bless your heart, sarcasm only makes you look smart when you're right. Allow me to help. 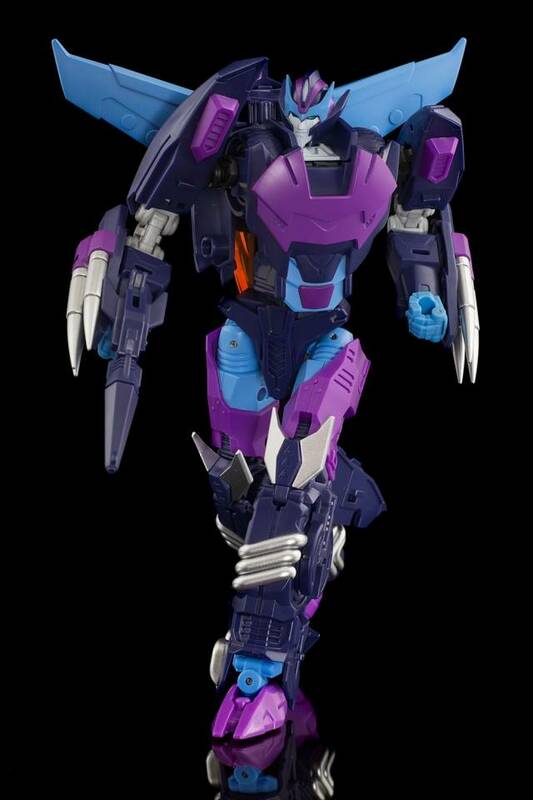 They're even making an updated version to change the colors to make yet another different version that is, like the first, also not intended to evoke Shattered Glass Hot Rod. That's because they're different things entirely. Furthermore, the initial look at this dark blue/light blue with purple accents coloration was in July of 2016, so the narrative behind it was likely thought through some time before. While it would have been likely that Hasbro was in initial stages of design work on Leader Rodimus Prime, it's unlikely that redecos had come up by that point. Is Rodimus' look a possible homage to repaints in general? Very possibly, yes. Was it done to promote a toy that would launch almost two years after the recolor's inception? No, this is implausible and irrational. Maybe this was overkill, but it struck a nerve. I may have misread your post's tone and you may not have intended for it to be a criticism of the story. If so, my apologies. If it was critical, I'd just say that y'all (the collective in this case and not anyone in particular) are free to not like the book but I'm getting sick of bad hot takes about why you don't. Don't get disheartened scotty, it's not like their words can actually destroy the legacy of idw continuity. I'm neither being forced into anything, nor complaining. I simply said I wasn't keen on the colour scheme. Purple, Black, Blue are very predominant colours within Transformers. There is even one of the new characters in LL (name escapes me) that more or less shares the same palette, to the extent they can be visually confused. The "leader" should usually be visually distinct within most fiction. Whether he is G1 Red/Yellow/Magenta et al in that respect is neither here nor there. ZeroWolf wrote: Don't get disheartened scotty, it's not like their words can actually destroy the legacy of idw continuity. 4,494 pages were recently viewed by 834 unique visitors. This page was viewed 1 times on Saturday, April 20th 2019 7:41am CDT. © 2019 Seibertron, Inc. DBA Seibertron.com. All Rights Reserved. Established June 2000. Seibertron.com is owned by Ryan Yzquierdo.